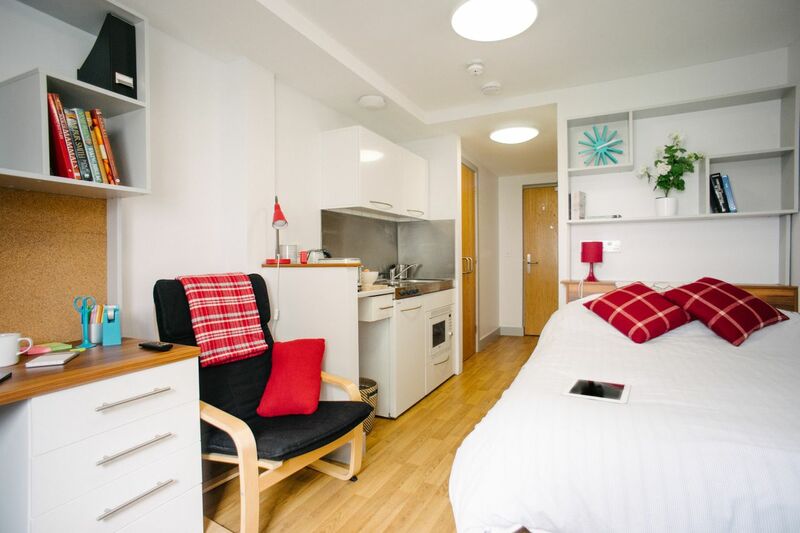 You’ll be moments from Portsmouth Business School and just a short stroll from the city’s historic waterfront and famous Spinnaker Tower at your new student accommodation. Shop up a storm at the clothes stores in Gunwharf Quays then learn about Portsmouth’s maritime history on board warship HMS Warrior. Make it back in time for dinner and a home-brewed pint at the Brewhouse and Kitchen before watching modern dance at next door New Theatre Royal. 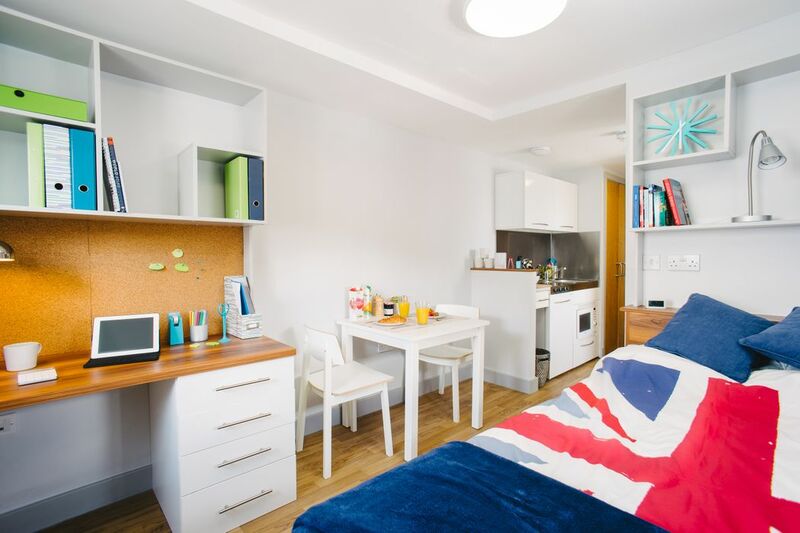 You’ll make it to classes with time to spare as your student housing in Portsmouth is next door to the University of Portsmouth Business School, and the library and students’ union are less than a 10-minute walk away. 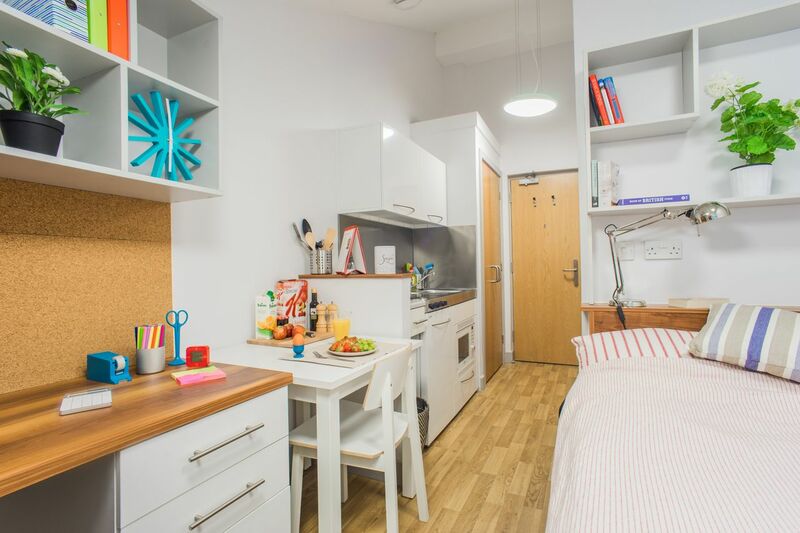 At Unilife St James’s Street you can choose between a modern en-suite studio apartment with kitchenette, or a spacious ‘twodio’ with shared kitchen and bathroom. When you’ve finished studying, make use of the free printers then relax and enjoy free Netflix on your TV. For a change of scene, walk 15 minutes to Unilife Middle Street for free access to the onsite gym or to meet friends in the social hub. Play pool, table football or FIFA on the Playstation, before chilling on the comfy sofas to watch Sky TV on the huge projector TV screen. With CCTV security, a 24/7 emergency contact line and all-inclusive bills you can truly relax, study enjoy living at Unilife. Jetzt buchen für kostenloses Netflix und mehr!- Kostenloses Netflix! - Kostenlose TV Lizenz! - Kostenloses Frühstück an Wochentagen! - Kostenloser Kredit für die Waschmaschinen! - Kostenlos drucken! - Unbegrenzte kostenlose Heißgetränke! - Kein Aufpreis für Pärchen! Gilt nur für ausgewählte Zimmer. Wir haben leider keine Unterkunft gefunden, die deinen Wünschen entspricht.Alle Ganze Wohnung in Unilife St James Street ansehen.